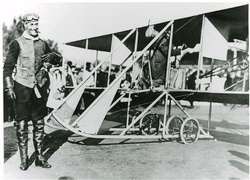 In 1910 publishing magnate William Randolph Hearst captured the attention of the aviation world when he announced a $50,000 prize for the first flight across the United States in 30 days or less. A newly licensed pilot named Calbraith Perry Rodgers, a descendant of famous U.S. Navy commodores Matthew Calbraith Perry and Oliver Hazard Perry, decided to take up the challenge. Rodgers covered the 4,321 miles in 82 hours and 4 minutes of flying time. Unfortunately, he far exceeded the 30-day limit set by Hearst and lost out on the $50,000 prize. 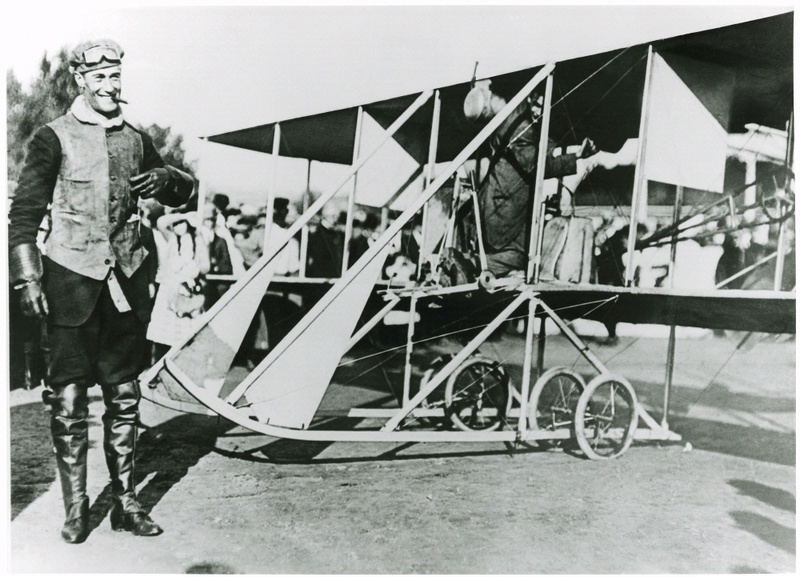 He did secure his place in history by making the first U.S. transcontinental flight. 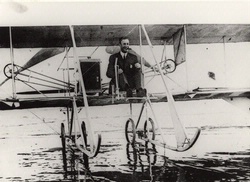 Cal Rodgers rose to fame at the Chicago International Aviation Meet. 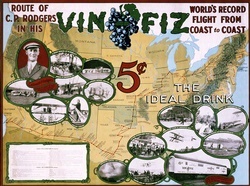 Rodgers secured financial backing for the transcontinental flight from Chicago’s Armour Company, then introducing Vin Fiz, a new grape-flavored soft drink. 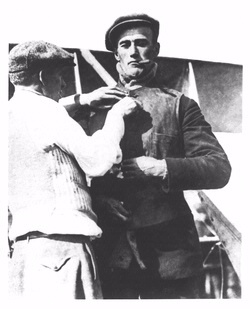 Armour agreed to pay Rodgers $5 for each mile he flew east of the Mississippi River and $4 for each mile west of it. Rodgers bought the Wright EX himself and covered all other expenses. 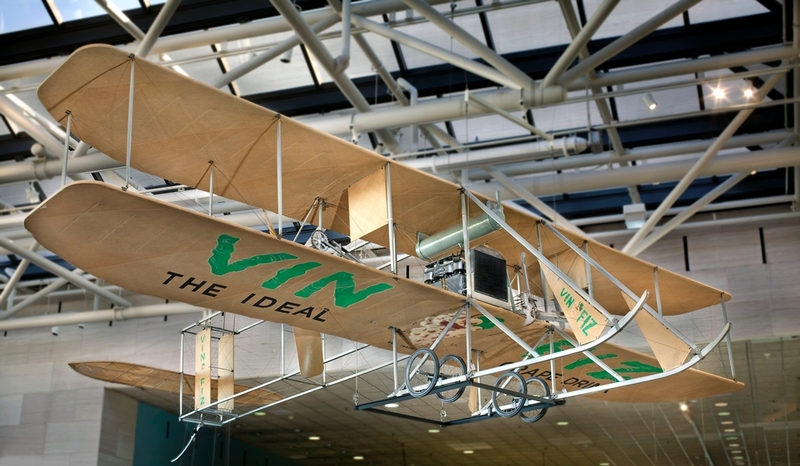 The airplane was emblazoned with the Vin Fiz logo—the first time an aircraft was used for commercial advertising. 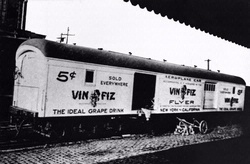 1911—The Vin Fiz made the first flight across the United States. It took 49 days, with many stops and crashes along the way. 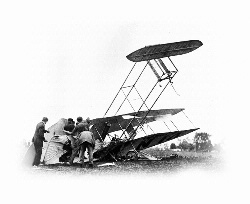 1923—The T-2 made the first nonstop flight across the United States. It took 26 hours.